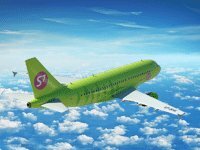 S7 Airlines, a member of the oneworld® global aviation alliance®, from the 1st of July 2014 increases the number of flights to Omsk launching a new weekly flight from Moscow. The new flight S7-161/162 will depart from Moscow Domodedovo Airport every day at 01:20 and arrive in Omsk at 07:40 local time. The return flight will depart at 08:40 and arrive in Moscow at 09:25. “The flight is characterized by a convenient schedule which allows business passengers from Omsk to spend the daytime in Moscow and take the return flight in the evening. The arrival time in Moscow is very suitable for convenient connections to flights to other Russian cities and to foreign destinations, in particular to Europe and the CIS”, Vadim Besperstov, S7 Airlines Strategic Development Director, noted. Daily flights will be performed on comfortable Airbus A319 aircrafts designed to carry 128 passengers in economy and business class cabins. After launching the new flight the frequency of flights on the route Moscow — Omsk — Moscow will increase up to twenty flights a week. Air tickets can be purchased at www.s7.ru, the S7 mobile website m.s7.ru, through the iPhone app or the Android app, and at any S7 sales office. You can also learn accurate flight information, book and buy tickets by calling our Contact Centre at (free for Russia).